With its snow white mountains, enchanting lakes and sprawling greenery, Tibet beckons the nature lovers. Be at Tibet to spend some moments of peace and serenity far from the maddening crowd of the metro cities of the world. There is lot to do and experience at this beloved land of nature. 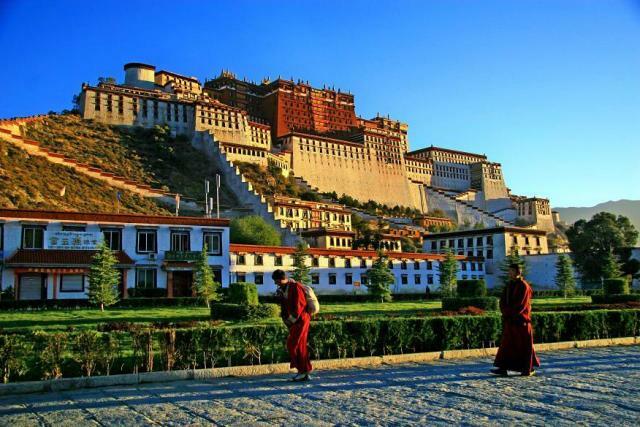 A landmark of Tibet, the Potala Palace treasures the history of the country. From ancient manuscripts, books to mural paintings, antiques and statues of Lord Buddha, you seem to travel back to the glorious past of Tibet at this red and white castle. The grandeur of Gyantse Kumbum is not only pride of Tibet but unique with 100,000 mural paintings, which is fusion of Chinese and Newati style of paintings. From the religious scenario to the daily lives of the Tibetans, these murals portray the history of the country. The Jokhang temple (meaning House of Buddha) is a pilgrimage for Tibetan Buddhists. Kowtowing in front of the temple to fulfill your good wishes or participate in the annual Prayer Festival of the monastery to bask in the joy of spirituality. The statue of Sakyamuni Buddha, believed to be brought here in 700 AD is precious, sparkling with jewels. Experience the simple yet divine lifestyle of the Buddhist monks at the Sera Monastery. Do not miss the debates that take place between the monks over the religious scriptures, it is a fun to watch them make different gestures during the debates. The Samye Monastery is the birth place of Tibetan Buddhism and is precious with frescoes, murals and sculptures. 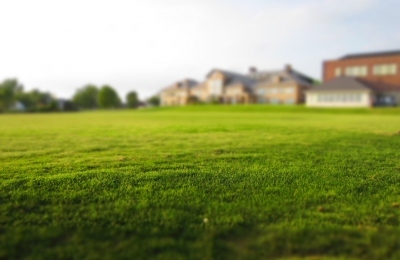 Located at the backdrop of a lush green meadow, prayers come here from the deep core of the heart. The Tashilunpo Monastery exhibits the passion of Buddhist monks towards art and architecture. While this monastery glitters with its golden roof and white walls, the statue of Lord Buddha is the largest, with 26.2 meters height and embellished with pearls, corals and diamonds. Rest your stressed mind and tired feet at the banks of the Yamdrok Lake. Enjoy the magical beauty of the turquoise colored waters or ride on yaks to have some fun time. One of the largest salt water lakes, Namtso is popular known as the lake on the sky, lying at an altitude of 15,479 feet. Dotted with shrines on all four sides and the image of the Himalayas getting reflected over its crystalline waters, Namtso is truly a ‘Heaven Lake.’ Trek to get close to nature at Tibet. There are several trekking camps arranged here which provide you the golden opportunity to set foot on the tallest mountain of the world, Mount Everest. The Bakhor Market, near the Jokhang temple is a shopper’s paradise. This classic shopping street holds the charm of Tibet with line of Tibetan houses and paved with flagstones. Take a piece of Tibet with you buying the prayer wheels, prayer beads, joss sticks, carpets, bronze idols of Lord Buddha and thangkas. While the piping hot butter tea offers you respite from the chilled winters of Tibet, the hot fried yak in spicy sauce is an ideal evening snack. Try out the authentic Tibetan momos stuffed with beef, onion, garlic and ginger or relish the soupy thukpas bhatuk, an awesome noodle recipe. Churpi, which are small cubes of dried yoghurt are considered to be best companions on trekking trips. Hence spend this vacation basking in the sublime beauty of nature, while the holy chants of Buddhism fills the air of Tibet.